At PUSONICS, S.L. we are especially aware of the confidentiality of the personal data provided to us by the web page, and by means of this policy, we inform the user on data protection, as well as on their rights. Therefore, and under the Data Protection General Regulation of the European Union (GDPR) (UE) 2016/679 of the European Union and of the Council of the 27th of April 2016, and in response to the principle of transparency, we make available information pertaining the treatment of personal data, in order to make known at any time, how we process data, to the purpose and the corresponding rights. 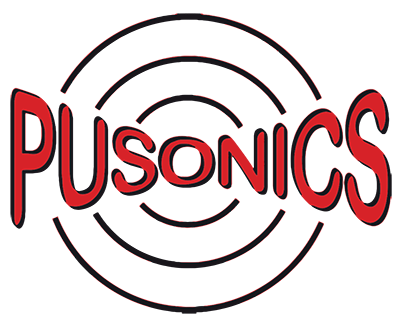 PUSONICS, S.L. (hereon THE RESPONSIBLE), Company VAT No. : B85465284, addressed at CALLE PICO MULHACÉN, 34, 28500, ARGANDA DEL REY, Madrid and email address: florence.buisson@pusonics.es. Contact of the Data protection officer (DPO): There is no officer, though you can contact us through any of the above mentioned means. − Provided voluntarily by the data holder, whether through web application, electronic mail, telephone or contract, so as to request any kind of information or formalisation and/or acquisition of services or products. − From sources accessible to the public and/or public registers, and whenever there is a legitimate interest on behalf of THE RESPONSIBLE to do so. THE RESPONSIBLE, will process their data, so as to respond to the requests made through this website, in addition, if they give their consent to forward information of commercial and/or advertising manner by the usual communication channels. Notwithstanding, this consent, may be cancelled at any time through the means provided to this avail. We will process your data for commercial, administrative, accounts and tax management, in accordance with the regulations in force and depending on the information provided and the authorisation granted. The personal data provided will be retained while the relationship with the entity is kept, and the interested party does not request its deletion. They will be retained within the legal terms set and depending on the purpose they were collected for. In the event the interested party has subscribed voluntarily to commercial communications, newsletters, advertising, etc. to be sent, the data will remain until the interested party unsubscribes to the mentioned communications. − The mere request on behalf of the interested party of any kind of information. − For the possible subscription to receive commercial communications by express consent. − Formalising the commercial relationship, resulting from the acquisition of products and/or services. − Legitimisation due to the execution of a contract. For the duration of the interested party's data processing, THE RESPONSIBLE, will not transfer the data to third parties, unless there is a legal obligation. In the cases when the processing is of administrative, tax, accounts and/or commercial kind, carried out by third parties, the mandatory contract of data processor will be drawn up, to ensure the security and confidentiality of the interested party's data before third parties. − Right of access to their personal data. − Right to rectify their personal data, when incomplete or inaccurate. − Right to Deletion of their personal data, when not needed for the purposes they were collected for. − Right of limitation of their processing, of all or part of the data. − Right of objecting the processing. − Right of data portability. − Right to withdraw the previously granted consent. In the event there is a feeling that their rights have been violated in regards with the personal data protection, especially when in the exercise of their rights, no satisfaction has been had, they may present a claim before the Control Authority on competent Data Protection. Also it is possible to contact through this form. The AEPD (Spanish Agency for Data Protection) informs and helps the citizen to exercise their rights, as well as also the companies to comply with the obligations set in the Law. As holder of your own data, the AEPD ensures the exercise of the rights to access, rectify, cancel and limit, as well as portability and opposition, when they have not been properly taken care of. And it guarantees the right to data protection, before actions that may breach any law.